Will I Lose My CDL if I’m Charged with DUI? Your commercial driver’s license is your livelihood. It is very important that if you have been charged with driving under the influence, you find qualified legal representation to assist you at this critical time. Your livelihood is at stake in this matter, whether the charge occurred as a result of operating your private vehicle or in the course of operating your commercial vehicle. Pleading guilty to DUI or OVI (operating a vehicle while under the influence), or if you are found guilty of the charge means your commercial driver’s license will be taken away for one year. A second conviction for DUI will result in your commercial license being revoked indefinitely. Added to this, the court is not at liberty to grant you commercial driving privileges while your case is pending meaning you cannot work. It cannot be overstated how devastating this can be for your life and livelihood. If you have a blood alcohol content of .04% or more while driving your commercial vehicle, the first offense is a one-year suspension of your CDL. If you refuse to submit to a chemical test of your blood, breath, or urine, that offense alone can earn a one-year CDL suspension. On second convictions, your career as a commercial driver could well be at an end. A second DUI or OVI conviction is a lifetime disqualification for a CDL. If you are facing any of these situations, you need an attorney who is well versed in the DUI and OVI system in Ohio, and who has a track record of helping clients like yourself. 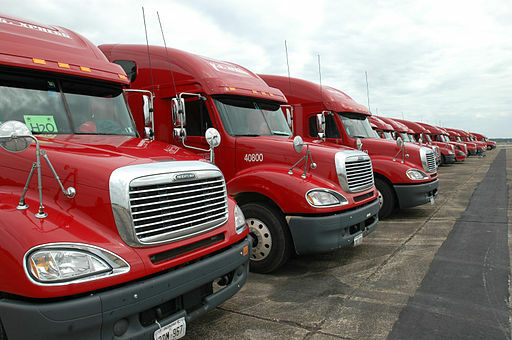 By holding an Ohio CDL, the State considers you to have consented to any testing in any state. If alcohol is detected, law enforcement officials can place you in an out-of-service status for 24 hours because it is illegal to operate a commercial vehicle with even the slightest bit of alcohol in your system. Do You Need an Ohio Commercial Driver DUI Attorney? If you have been pulled over for a DUI charge and you have a CDL, get the help you need now. You need the representation of a skilled and experienced CDL DUI attorney who can help you minimize the damage involved with these charges. The Maher Law Firm can help make sure that your rights are protected. Founding attorney, Colin Maher, is a National Highway Traffic Safety Administration (NHTSA) certified practitioner for field sobriety testing, which is the same training police officers take. This training helps him evaluate and challenge the evidence collection involved in the field sobriety test process. Call The Maher Law Firm today for a free consultation at 614-205-2208 or contact us online.